There’s a lot of temporary housing for earthquake victims in Van. Mile after mile of these things. Entire cities, with police stations and grocery stores, also housed in temporary housing. 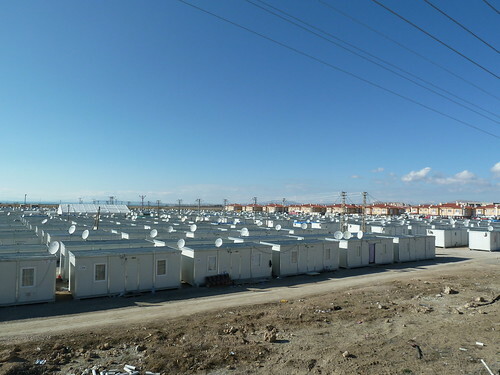 For weeks I’ve been passed by hundreds of trucks carrying empty housing units to the Syrian border. I thought they must be clearing them out. Yesterday I realized they were just carrying a drop in the bucket.